Truffle #348, first spotted on 22 February 2016 in the first wave of covering near surface truffles, I had no idea of the actual size until late last Thursday when I was protecting truffles against the 21 Celsius day. 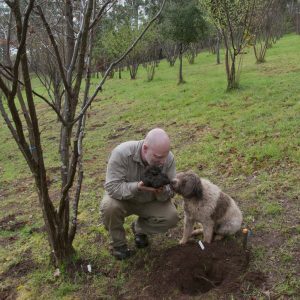 The ripening aroma’s being released made Lani mark the truffle enthusiastically, and I/we started digging… deeper, … and deeper. Some 45 minutes later it was finally extracted from the ground. It was then cleaned, and air dried overnight. 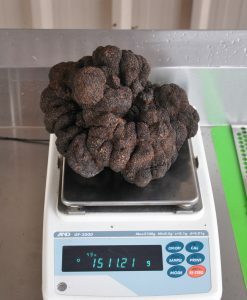 I’ve had a lot of large truffles this year, many 4 to 5 hundred grams, with some noteable specimens including 630g & 800g. But this one weighed in at 1511 grams! 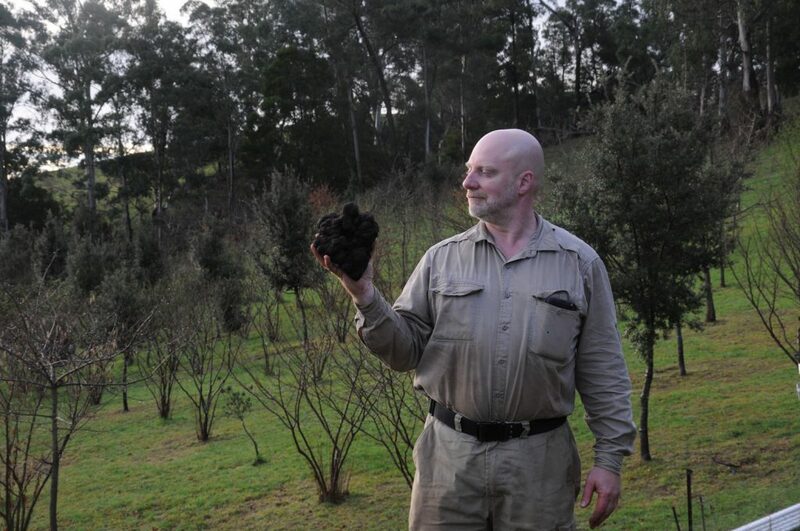 Being a Thursday, it was a bit late in the week for marketing, and none of my regular customers could handle a truffle of this size. Other buyers could have been found, but there’s been a lot of “we’ll call you” responses from restaurants this year, so I decided I’d rather preserve it instead. 5 grams does a bottle of truffle vodka, so it’s big enough to infuse 210 litres (44gallon drum), although it will more likely be used for future promotional activities.